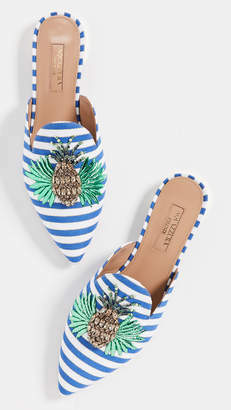 Aquazzura's founder Edgardo Osorio believes comfort is as important as style when it comes to his shoe designs - that's why these 'Zen' flats are made with a versatile collapsible heel so you can wear them as slippers too. 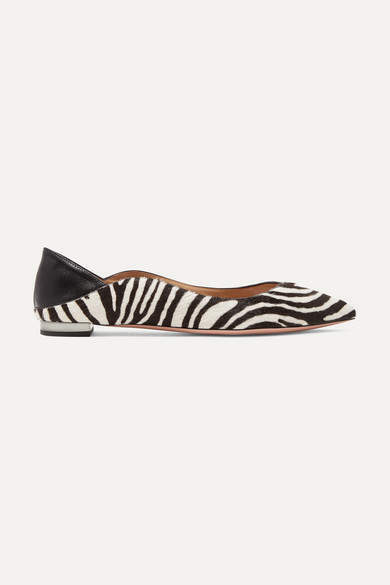 They've been crafted in Italy from soft calf hair decorated in zebra-print stripes and have a supple leather heel tab. 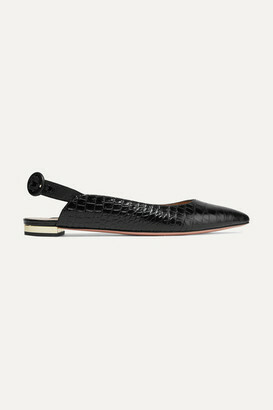 Wear them with cropped hemlines to show off the metal-tipped heel and scalloped vamp.